Queen's University graduates down through the years will have a chance to say farewell to the current Students’ Union building which has served generations of students over the last 50 years, as plans for a new world-class Centre – including a new Students’ Union facility – are rolled out. 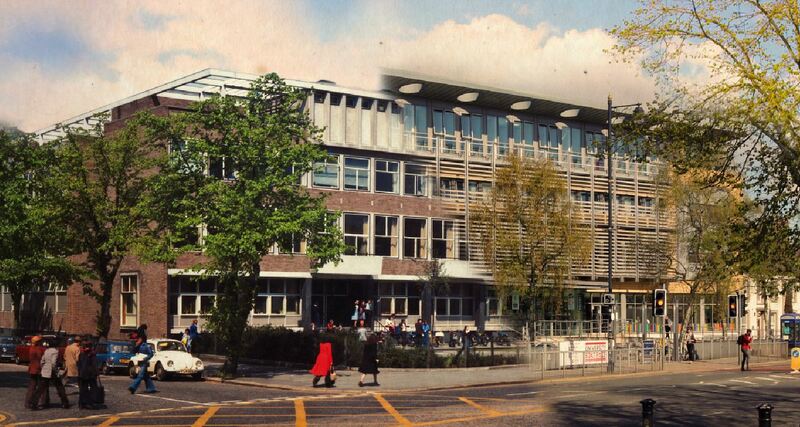 A number of activities have been organised to mark the ‘last hurrah’ for the building on University Road, including an ‘all ticket’ reunion for up to 500 people on Thursday 14 June from 6.30pm. An evening reception with entertainment from 7.30pm in The Speakeasy, has also been arranged to ensure the Union building gets a suitable send-off. Thousands of graduates since the late 1960s will have many fond memories of the Union, which was designed originally for a student population of just 5,000. Sadly no longer equipped to address the diverse needs of today’s 24,000 students – or the University’s future student body – the building is to be demolished to make way for a new state-of-the-art facility which is expected to be completed by September 2021. 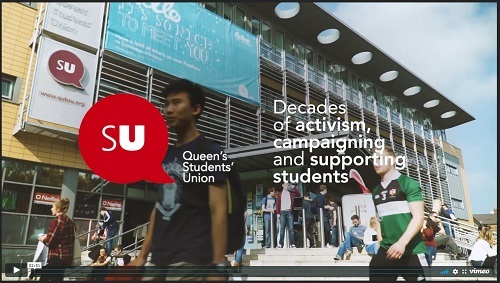 A special video highlightling the importance of the Union will be on display (see below) and an exhibition of Students’ Union archive material accumulated over the last 50 years will go on show in The Space in the Students’ Union building from 6.30pm Thursday 14 June until 5pm Tuesday 19 June. Anyone willing to contribute artefacts, stories, video footage or photographs should contact Faisal Kadiri to make arrangements for their inclusion in the display. Senate, the governing body of the University, and the SU Council approved proposals for the new Centre, which will be part-funded through philanthropic gifts, last summer. Speaking at the time, the Acting President and Vice-Chancellor, Professor James McElnay, said: “Our vision is that this project will bring the University and the community it serves closer together in line with our Social Charter. “The new Student Centre underlines the University’s commitment to further invest in our students to enhance their experience and create world-class facilities. “In Northern Ireland our people are our greatest resource and this project underlines the commitment of Queen’s to invest in our future leaders and to strengthen the region’s developing knowledge-based economy in line with the aspirations of the draft Programme for Government. Once opened, the Centre will consolidate a range of student services under one roof, alongside a vibrant new Students’ Union facility. It will support enhanced student wellbeing, learning, development, entrepreneurship and employment opportunities, as well as being a social hub ‘heartbeat’ for life for the University campus. The current Students’ Union building will close at the end of August with services and facilities moving to other areas of the campus over the summer months. To find out more about the 2018 Students' Union Reunion, or to support the new Student Centre, please contact Natasha Sharma, +44 (0)28 9097 3135, or watch out for details on registering for the event on the Students’ Union Facebook and Twitter. For media inquiries, please contact Queen’s University Communications Office, +44 (0)28 9097 3091.